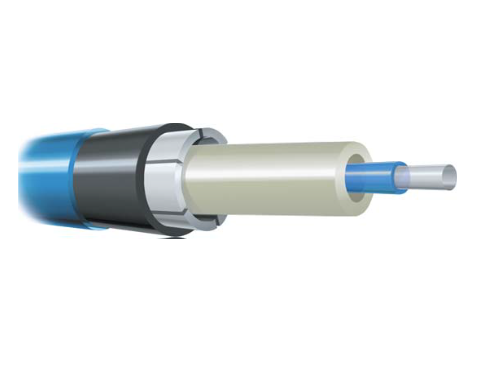 This Loose tube dielectric optical cable is designed for external underground installations in ducts by pulling, jetting or floating techniques or by direct burial in open-cut trenches. The cable is designed for installation in areas where mechanical impact is expected. – UV stabilised Low Smoke Zero Halogen (LS0H), flame retardant compound in compliance with AS 1049. – UV stabilised Polyethylene (PE) with Nylon jacket for enhanced termite resistance – in compliance with AS 1049. Two ripcords are provided beneath the sheath for easy removal. For a more detailed description, please download our datasheet(s) / brochure. Alternatively our contact details are listed below if you wish to speak to a Prysmian Product Specialist for further information.